High Tech design of teeth and hence after long time use it is very easy to reshape from experience person. 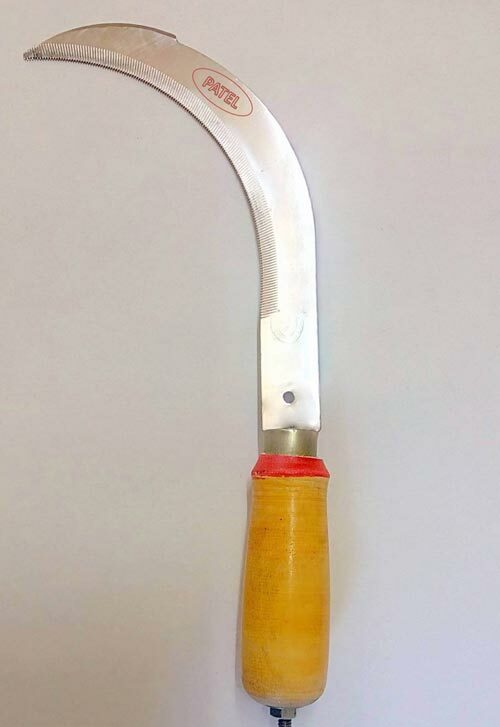 Properly tempered with highly advance technology and proper tempering process on quality level EN9 grade material of well known manufacturer of India only. 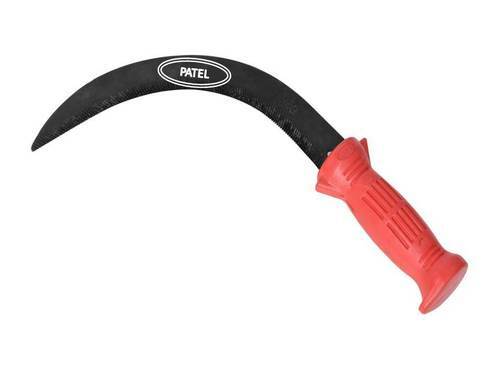 Fitting of blade with unbreakable plastic handle done on Fully CNC based injection molding machine. 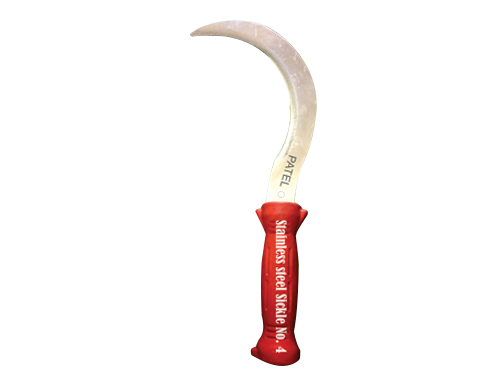 Cutting efficiency is High compare to other non quality sickle available in market. Light in weight and government approved design. 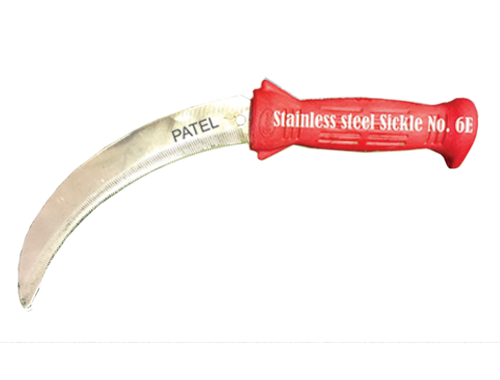 Always use “PATEL” Brand Sickle and check logo on blade as well as on handle. Available at competitive price range. Use for framing and gardening. 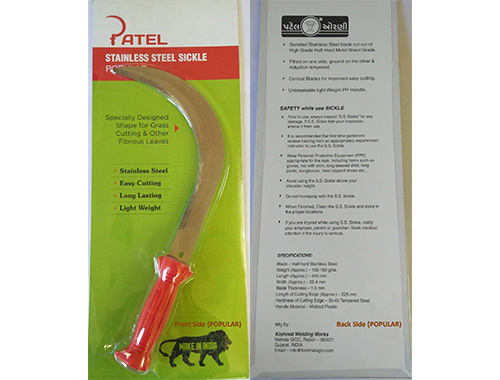 Use Original Product Only – Having Brand name “PATEL” on Handle as well as on Blade.